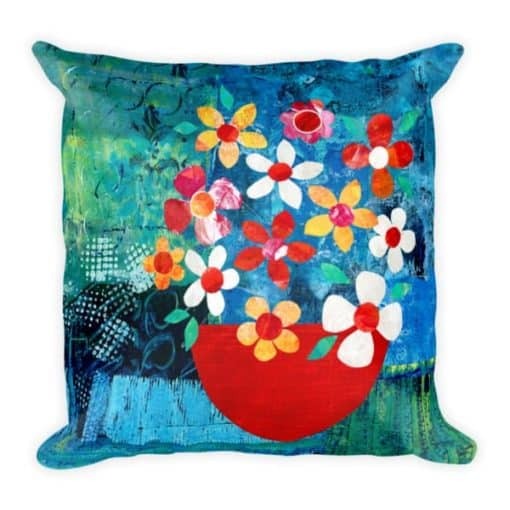 This cushion features Red Bowl – from a brightly coloured, mixed media painting inspired by summer flowers in my Greek studio. The back of the cushion has a specially designed textured print to complement the front, in shades of matching blue. Red Bowl pairs beautifully with Holiday Flowers, should you want a pair of co-ordinating cushions for your sofa. 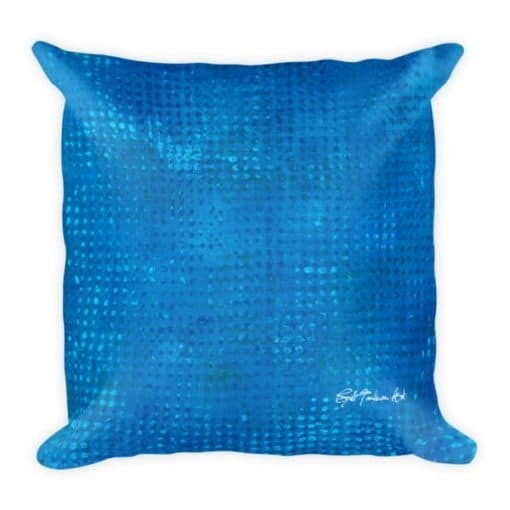 The reverse of both cushions have the same shade of blue design.